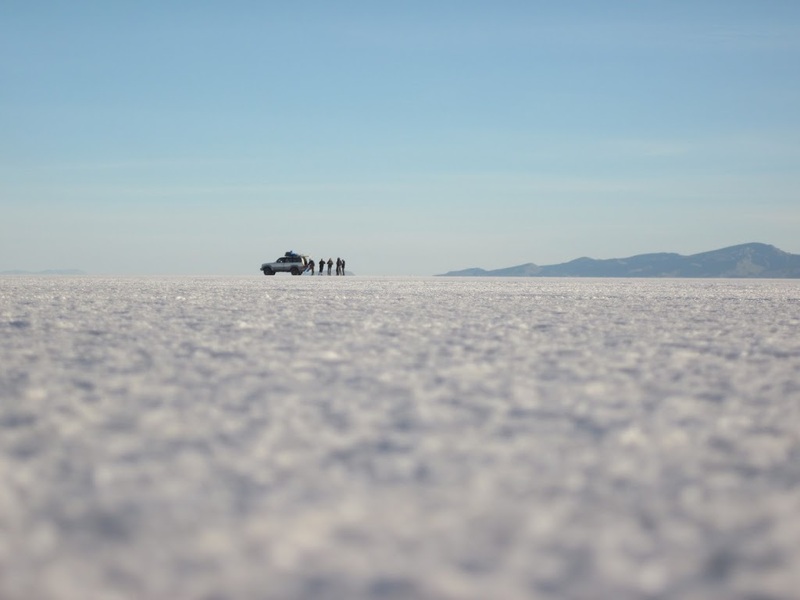 I remember the first time seeing a blog post about Salar De Uyuni and being absolutely smitten. I think it was one of those few images that stuck to my head and eventually propelled me to want to go travel for an extended time. White salt fields that stretch to infinity and the photography illusions that nature lets you play as a result were hard to resist. 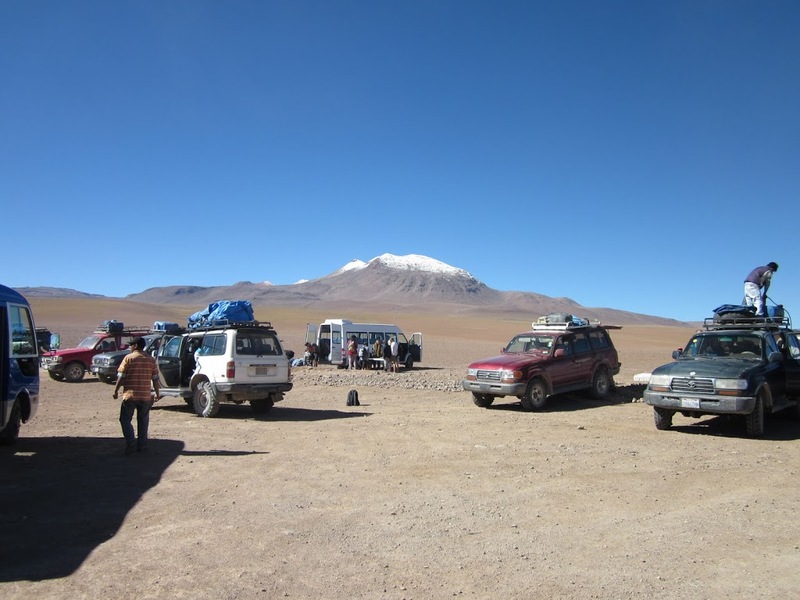 Book a four day tour from San Pedro de atacama or from Tupiza, Bolivia. 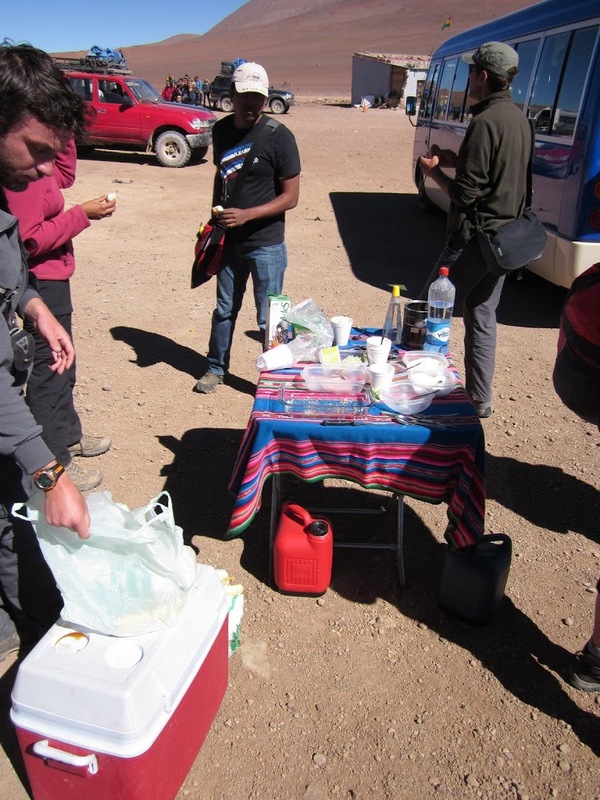 From San Pedro, its a good way to get into the Bolivia part of your trip. 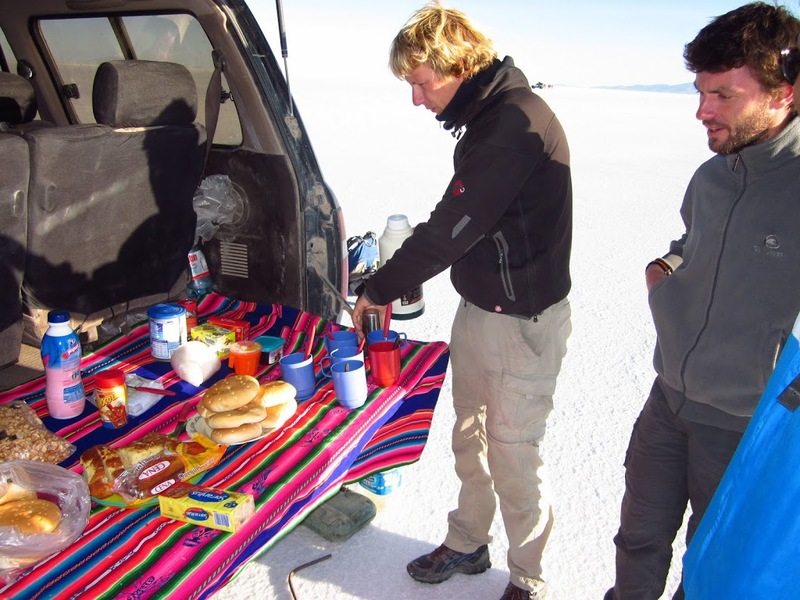 You can also get to Uyuni via public transport from elsewhere in Bolivia and take a day trip to the salt flats – cheaper and faster, but a tour group is more enjoyable and affords the opportunity to bond with fellow travelers. Ask for prices at many tour agencies. 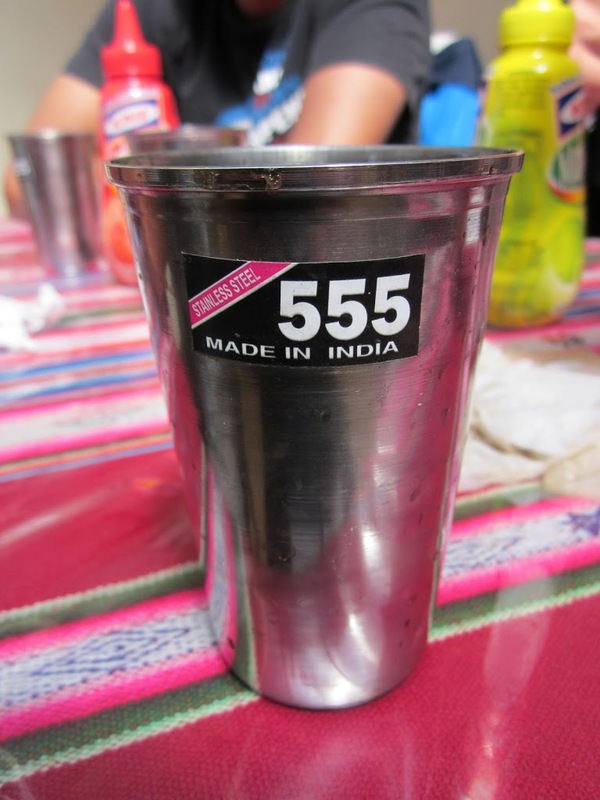 Get to know your tour group members – variety in nationality makes for a more enjoyable time. If everyone is of the same nationality and speak a single language that you dont know, it wont be as much fun. Get an itemized list of the services included in the tour package. Check with tourist office for reputed tour companies. 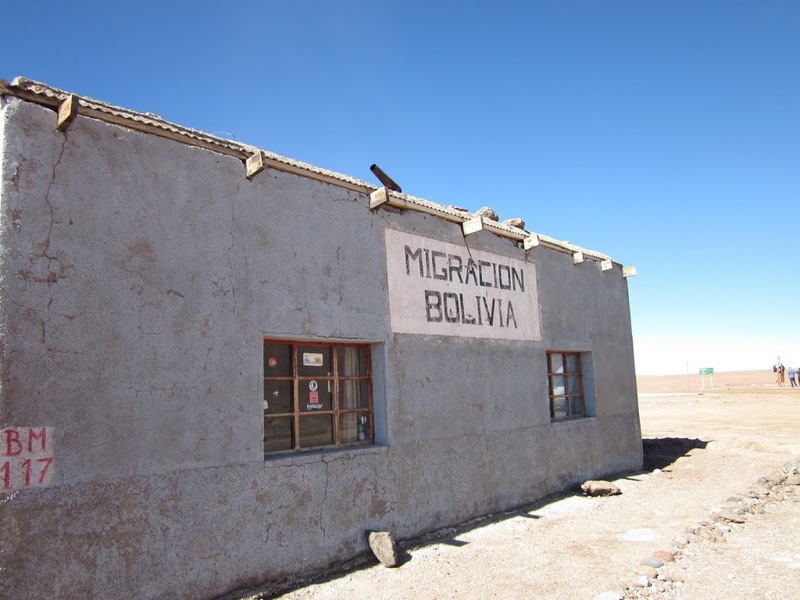 All tour companies are Bolivian as the tour begins only after you cross Chile border. Pack in layers as the weather gets chilly in the mornings. 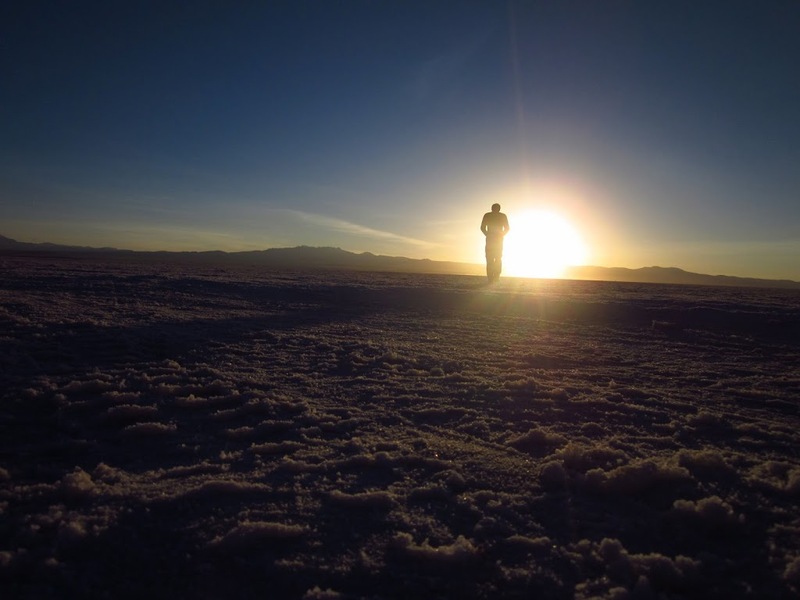 On the day of the salt flat tour, you’ll leave your hotel before dawn. 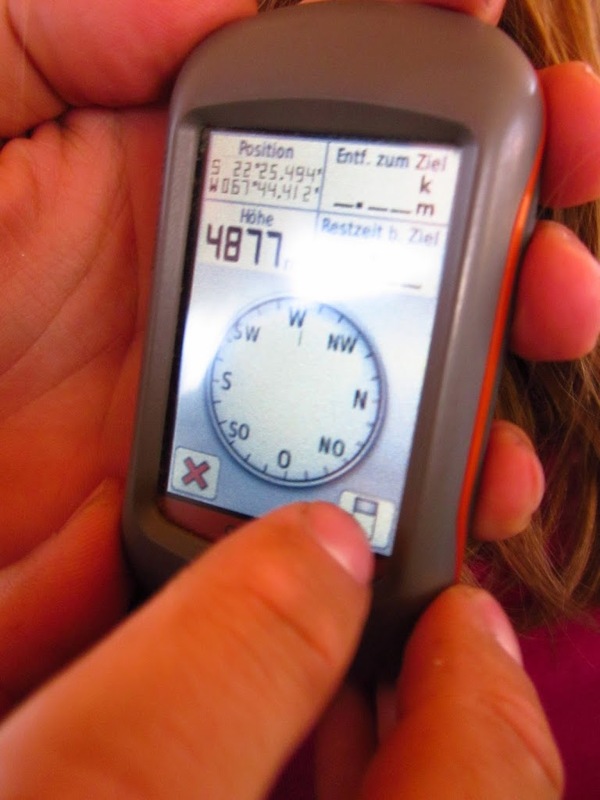 Altitude check – altiplano is really really high! We were excited that we’d get to take cool photos with our really nice DSLR (Nikon D7000 for the photo enthusiast) and our handy compact camera Canon S95. We lugged it around the rest of the continent and got great pictures, but as luck would have it, two things happened. Our DSLR got stolen with a bunch of other things, and our S95 got ruined thanks to a sandboarding event at San Pedro de atacama. 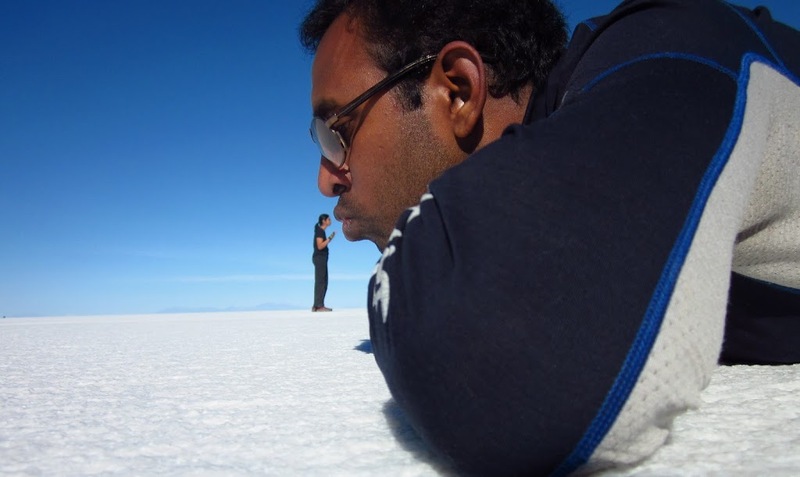 We were thoroughly disillusioned that we were suddenly camera-less for the last one month of our trip and that too, in Salar De Uyuni. 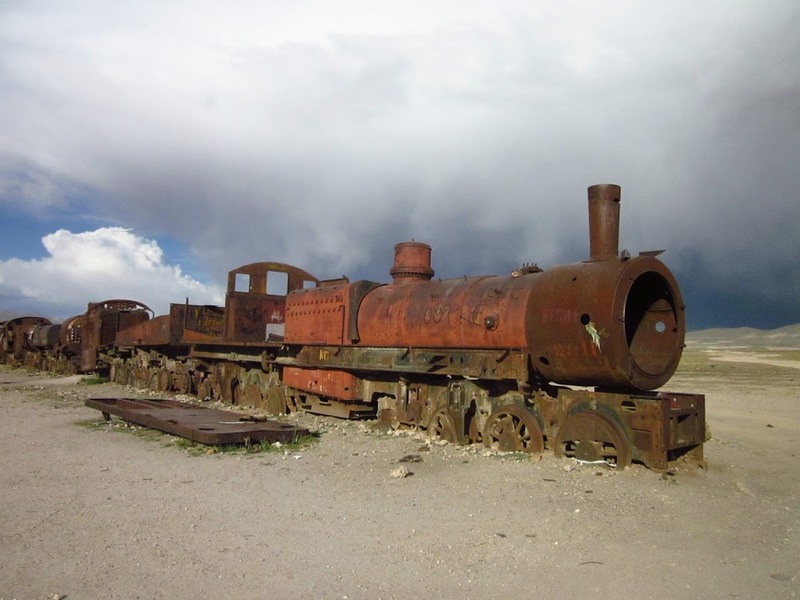 All this happened in San Pedro De Atacama, a really small town in the atacama desert. So we had to go back to Calama (not our favorite city at all) and went to a really swanky mall there to buy a basic digital camera way overpriced than the rates at Amazon (we really missed Amazon.com). Sadly, the rest of our pictures, including those from Salar De Uyuni would be from this camera, though we should be fortunate for having one at all. 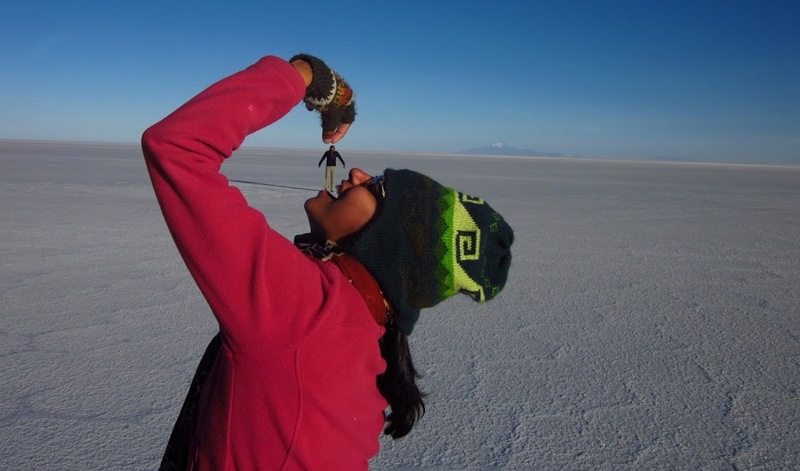 We were not able to get those cool shots travelers get from Uyuni, but had to make do with some of these. 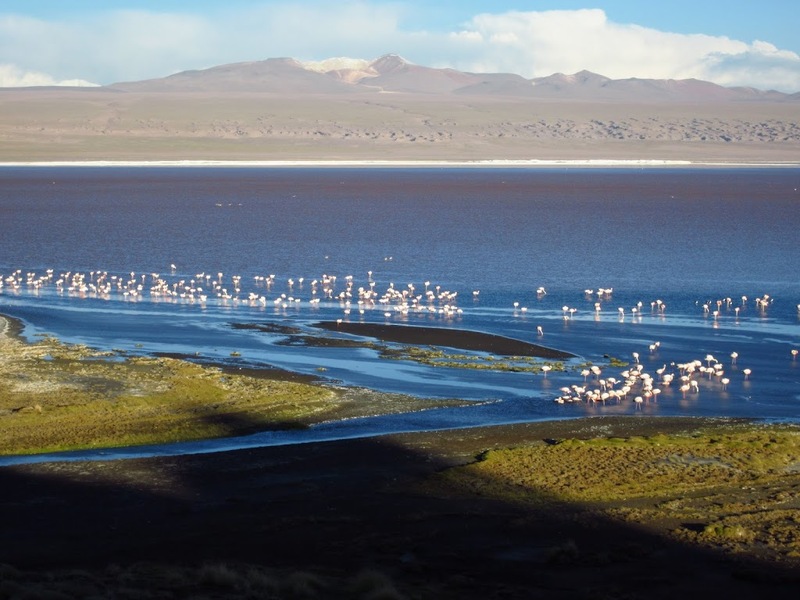 4-day trips to Salar De Uyuni can be arranged from San Pedro De Atacama from any tourist agency. The tour begins in Chile and can either end in Uyuni or you can return back to Chile. 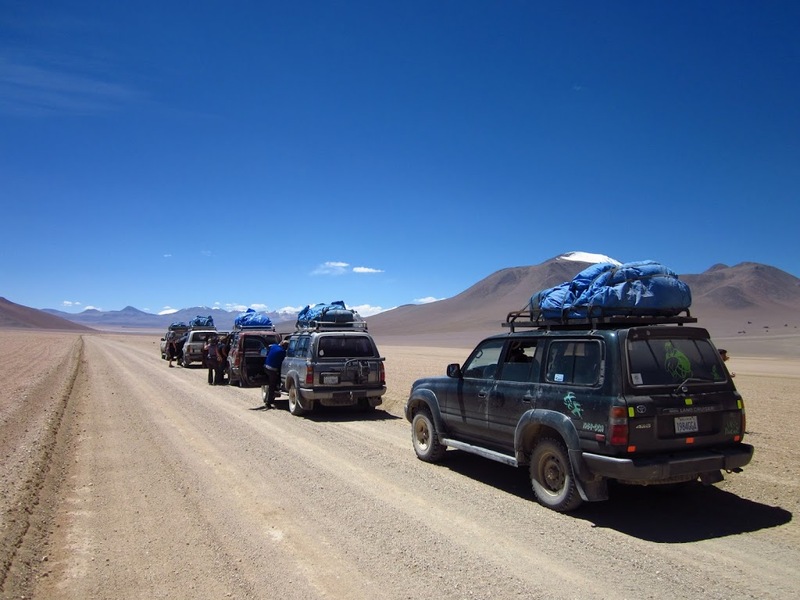 The four day tour costs 68,000 chilean pesos or ~USD 140 and includes food, stay, transportation and guide in a jeep that can carry 5-6 people. 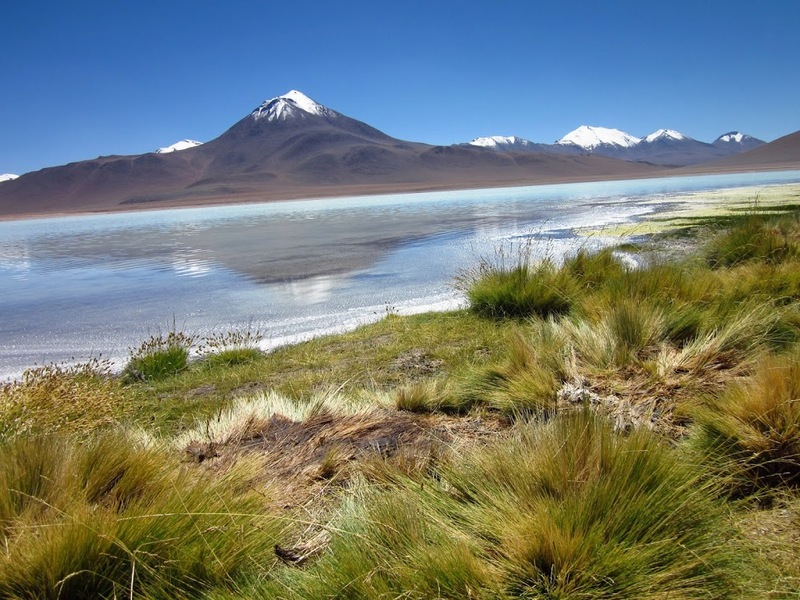 You will visit the salt flats on the 4th day, but the first three days are through a national reserve area at high altitudes (called the altiplano region).